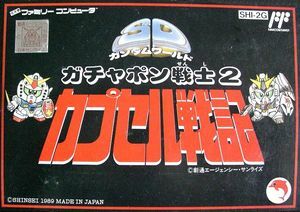 SD Gundam World-Gachapon Senshi 2: Capsule Senki is the second of five SD Gundam World games for the Famicom, published by Bandai using the Gundam license from Sunrise Studios. 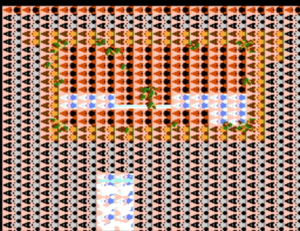 As with its predecessor, Scramble Wars, the game is a tactical turn-based war simulation in which each side uses their Gundam mechas to defeat the other and are occasionally aided by a "gachapon" - or capsule machine - that dispenses additional Gundams in a manner similar to their toy counterparts. The graph below charts the compatibility with SD Gundam World-Gachapon Senshi 2: Capsule Senki since Dolphin's 2.0 release, listing revisions only where a compatibility change occurred. This page was last edited on 27 December 2017, at 06:27.